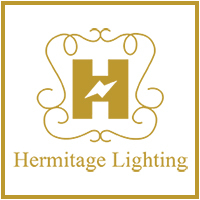 At Hermitage Lighting Gallery in Nashville, we’re always excited to meet builders and homeowners who have unique ideas for lighting. Whether they’re building or renovating a house, lighting design is one of the most important aspects, and is what will bring every room together and make the house functional. A room can be perfectly laid out and decorated, but if the lighting is off, the entire space can feel uncomfortable. Our showroom experts would love to help you realize your contemporary ideas. There are many modern lighting styles on the market today, including everything from industrial fixtures to updated looks on retro options. Combining old and new, such as LED bulbs in Art Deco fixtures, can make your home feel up-to-date while also hearkening back to a century ago. Picking the right style of lighting can seem like a challenge, but with a bit of research and the right guidance, you can make the best choice for your home. Which Rooms are You Focusing On? If you’re building a new home, this question might not pertain to you as much, since every room will be the focus at one time or another. For renovation projects, you might be focusing on one or two rooms, such as the kitchen or the living room. Do you want modern pendant lighting for your new kitchen island? Are you designing a game or family area that needs new overhead lighting? Deciding which rooms need updating the most can help you choose the best fixtures for each space. It can be overwhelming to plan the lighting design for even one room, and that’s why we’re here to help. You might have grand ideas for updating the fixtures in every room of your house, but the one question that has to be in the front of your mind at all times is, “What’s my budget?” If you’re getting ready to sell your home, making multiple updates might make sense, since you might be able to up the resale value through renovating your lighting. If you’re simply updating a room or two, setting a budget and sticking to it can help keep the project at a manageable level, and our staff will gladly show you lighting options that fit within that budget. If you have a unique lighting idea, but you’re worried that it might be a bit too bold, take some time to consider it and ask yourself if you’ll be able to live with a large fixture in the middle of your living room or dining room. 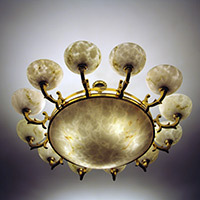 Perhaps the fixture you want is ultra-modern and you’re wondering if it will set the right tone for the room. It’s important to keep in mind that it’s your home, and if you’re okay with being bold, you can be okay with installing the light. If you’re shopping for modern lighting options, and you have ideas to explore and questions that need to be answered, come to Hermitage in Nashville today. We look forward to helping you!